Wow, the first couple weeks of school have really put a damper on my posting schedule! The kids are crazy, my schedule has exploded, and all I want to do when I get home is pour a glass of wine and sit on the couch. I’m still cooking, it just tends to be in bigger batches that last a while and we can eat for leftovers. I am particularly proud of creating these biscuits. 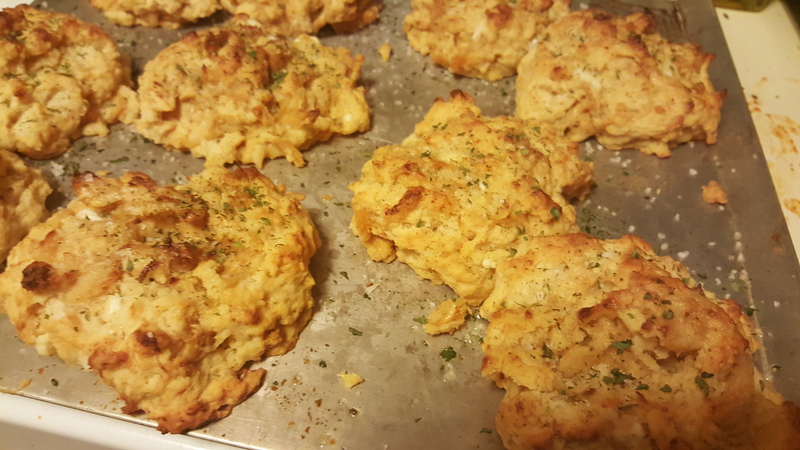 I am not the world’s greatest baker, but I do have one great biscuit recipe: my Cheesy Garlic Biscuits. 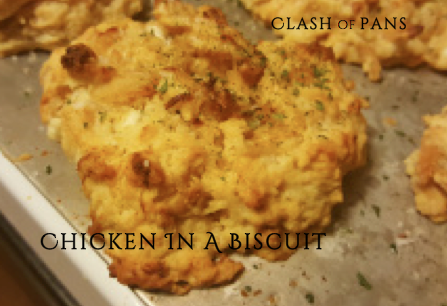 My chicken in a biscuit is almost the same recipe, but instead of cheddar I used goat cheese. I also added some shredded chicken that I marinated in hot sauce. This added a nice vinegary tang to the biscuit that went perfectly with the creamy goat cheese. 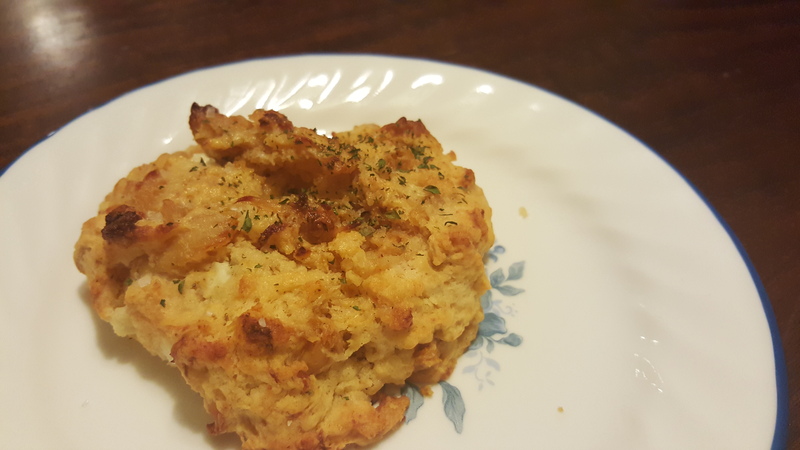 These biscuits are perfectly moist and soft, with a crunchy exterior. I thought they would pick up a little more heat from the hot sauce, but they ended up beautifully balanced and you could barely tell the hot sauce was even there. We ate just these for dinner one night. 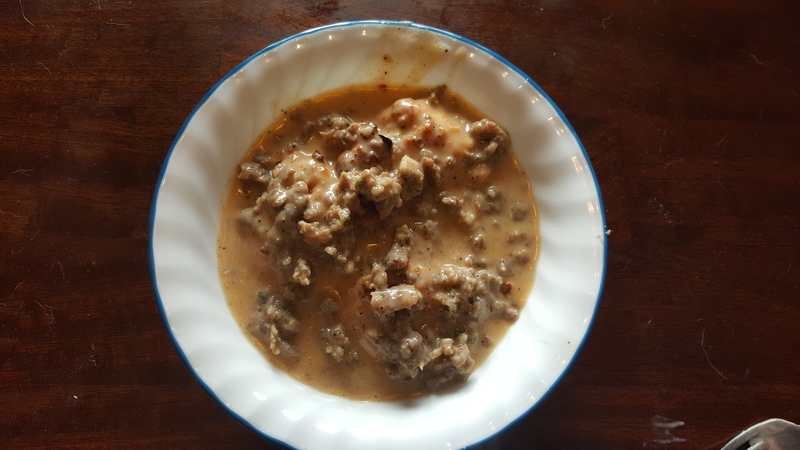 The next night I made a fabulous sausage gravy to pour on top of them and it made me happy. So for a side dish, a light dinner, or a base for a luscious gravy, this dish is a beauty. Go get you some. 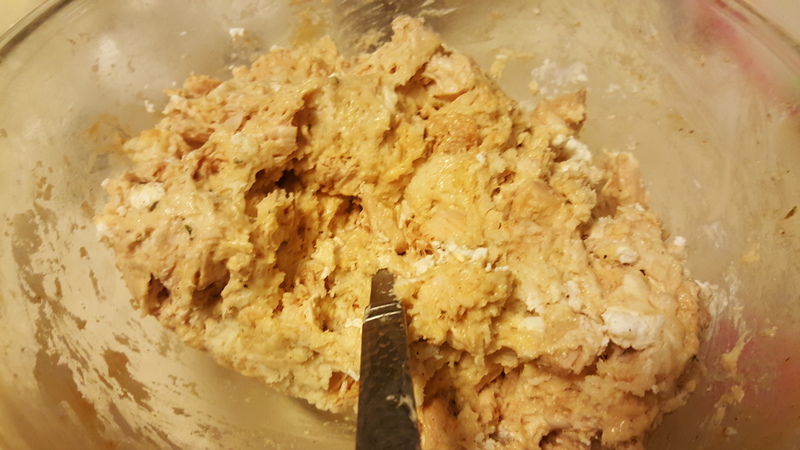 Start by chopping the chicken breast into small pieces and marinating it in salt, pepper, and the hot sauce. Marinate for an hour before cooking. Heat a bit of olive oil in a pan over medium heat. 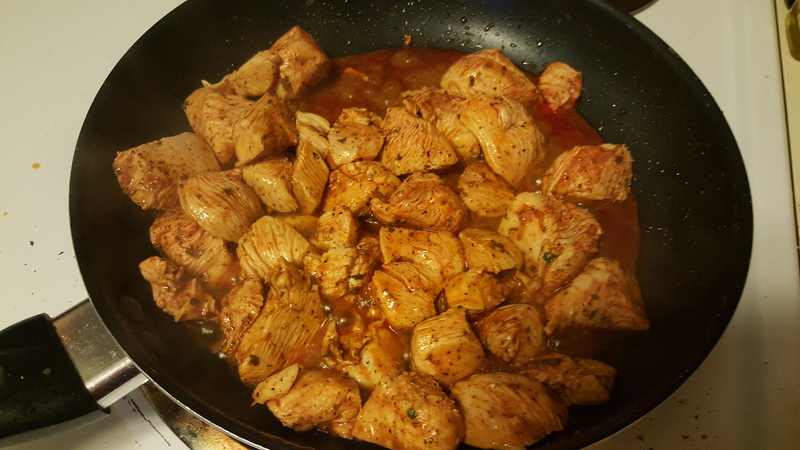 Add your marinated chicken and sauce and cook, covered, for about 10-15 minutes or until cooked through, stirring occasionally. In a large mixing bowl mix together the flour, salt, baking powder, sugar and garlic powder. Add the melted butter and milk. Combine gently with a fork. 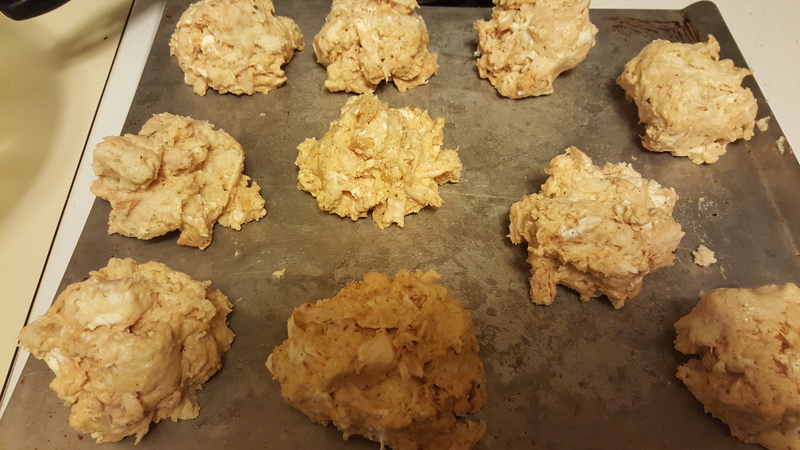 Add the shredded chicken and crumbled goat cheese and fold into the biscuit mix. It should be thick and sticky. Also, it is orange. Use a spoon to drop biscuits onto the pan. It will make 10-12, depending on how big you want them. Cook at 450 for 20 minutes, or until done. If desired, brush with melted butter and sprinkle with dried parsley and sea salt flakes. I’ve been slammed with back to school chaos, too! This looks great and as soon as the heat wave goes, I’m on it!